Let’s get something straight. Even though Izzy thinks he’s rough and tough, he’s not. He’s a 17 pound cutie of a dog whose bark is truly worse than his bite. Occasionally, he “gets” that, but there have been many times he IS the one bigger than the others and can flex his doggie muscles (like when he pees on chichauhas). In years past, I’ve had big dogs who thought they were lap dogs (like my British Mastiff, Joshua, who weighed 175 pounds and always wanted to sit in my lap), but I’ve never had a little dog before and I’m constantly surprised at the amount of attitude this Shichon has brought into my life. Last weekend, he was made very aware of how little he truly is. 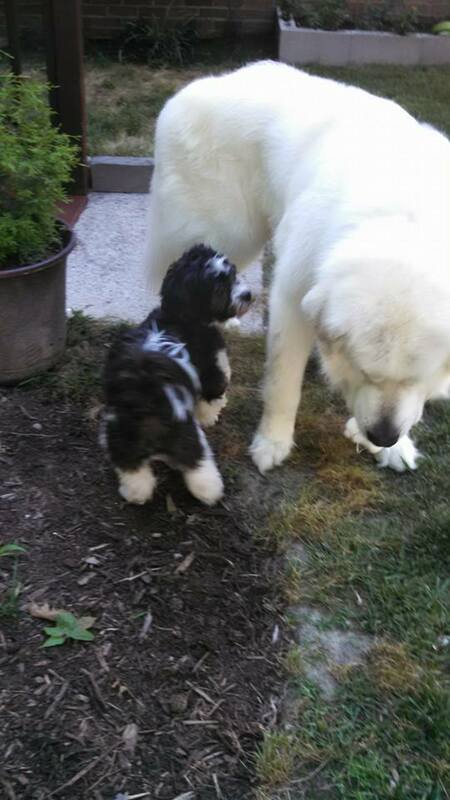 One of the things I’ve always tried to do with Izzy is to “introduce him” to my friends’ dogs. He sees my daughter’s two dogs regularly, he loves playing with my friend Theresa’s Jack Russell, and if I even mention his little maltese friend Ellie’s name, Izzy does the cocked head-wiggly feet dance until I leash him up and we head around the block for a visit. But all of these dogs are either Izzy’s size or just a little larger. Meet Alan. 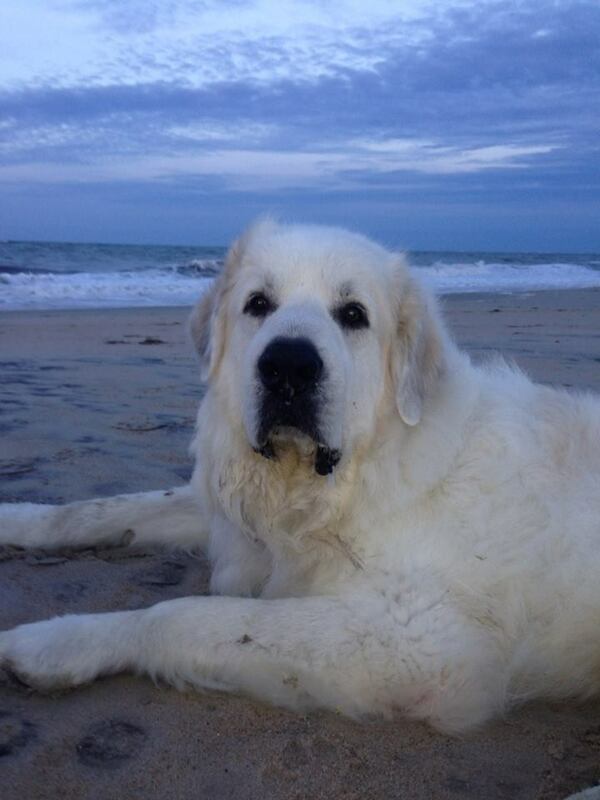 Alan’s a Great Pyrenees, a hunk of an ol’ man who doesn’t have to throw his weight around. All he has to do is shift every once in a while, and the world rocks. When we walked into Alan’s house, he moseyed over to meet us, and Izzy looked up, tail wagging, curious about this behemoth in front of him. He poked his nose against Alan’s leg, sniffed, then touched noses with him. They wandered around the yard together, Alan peeing everywhere Izzy did (sometimes I wonder where boy dogs get all their pee since they “water” everything they pass, but that’s another blog for another day). Next week: Izzy and Alan go to the beach!